Tokyo is crazy. Easily top 5 of my favourite cities in the world, it’s truly the brightest, most bustling place I’ve ever been. I know many would argue that there are plenty of other cities that are just as fast paced and full of life, but really, nothing can compete with Tokyo’s pulsing neon rainbow energy. This trip, like every other of my trips, was dedicated 99.9% to food. So here’s a little list of my favourite places to nibble, sip and nom in Tokyo! Dominique Ansel, most well known for his global phenomenon “The Cronut” (the glorious love child of the croissant and the donut) has bakeries in both New York and Paris, and most recently in Tokyo. As the website suggests, be prepared for line ups. We got there right at opening on a Tuesday and there were already a few people lined up outside the store. On weekday mornings theres a steady, yet manageable stream of people. You’ll have no problem getting a legendary cronut or a seat to sit and enjoy. However, apparantly weekends are a whole different story, and line ups can start up to 2 hours before opening. The bakery is beautiful. Open concept, with brightly coloured pastry boxes and adorable desserts lined up in the glass show case. The staff are beyond friendly, and the kitchen walls are glass so you watch the magic happen. We went a couple times, and from my personal experience, I’d suggest to sit in the shop and enjoy a coffee and a DKA (Dominique’s take on a Kouign Amann) perfectly cripsy, buttery, flakey and sweet. Definitely take some cronuts home too- but heads up, there’s a 2 cronut per person maximum! Well known as one of the best coffee shops in Tokyo, this teeny tiny cafe serves coffee and only coffee. The staff are beyond friendly and knowledgable- and the coffee is incredible. The interior of the shop consists of a small coffee bar, and only 4 small two person tables. And as it’s a popular place, it can get real crowded, real fast. But despite being a small space, it’s glass windows and rustic chic interior make it warm, inviting and cozy. I’d recommend sitting with your laptop or a good book, and ordering a cappuccino or an iced honey latte, depending on the weather. The cappuccino was so smooth that I could drink it without sugar- and I am a heavy weight sugar champion when it comes to tea/coffee. 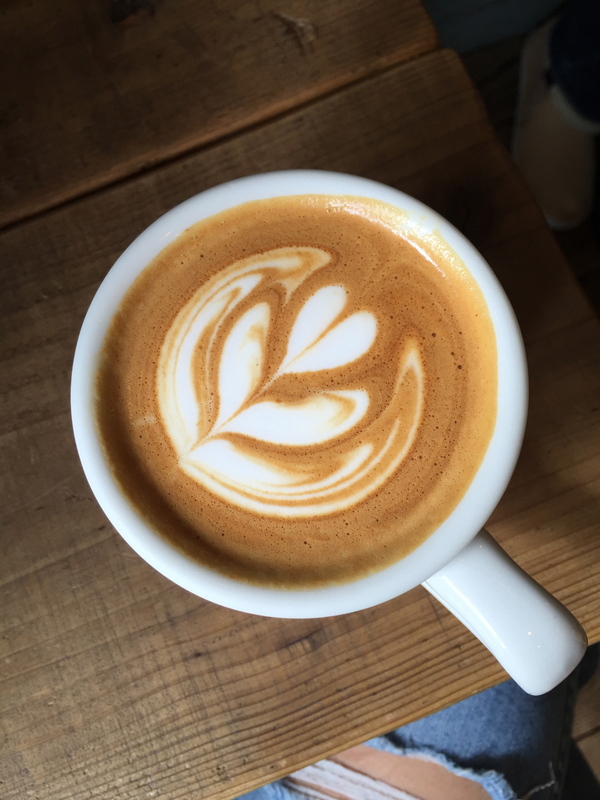 And the honey latte is to die for- creamy, with a strong honey sweetness and bold, smooth coffee taste- it instantly became one of the best coffee’s I’ve had. Harbs is a high end cakery that has shops all across Japan. 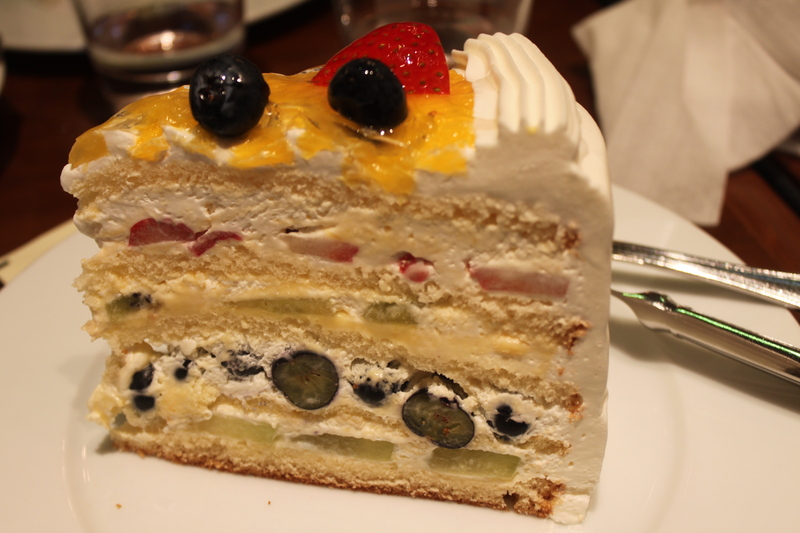 Generally situated in department stores, their fairly expensive, yet decadent cakes are beyond popular. Ranging between 650-900 yen (about 6-10 Canadian dollars) per slice, you are not getting ripped off. Not only is your slice of cake going to be freaking enormous, but it’s fresh, delicious, and quintessentially Japanese.My favourite: a slice of Strawberry Cake (fresh strawberries layered with whipping cream and sponge cake) and a pot of Royal Milk Tea. -I’ve only ever heard of or seen Royal Milk Tea in Japan. But it’s basically very milky, very strong black tea that’s generally brewed in the milk itself and mostly does not contain any water. And depending on where it’s served, comes sweetened. Harbs does a great Royal Milk Tea, hot or cold, and it comes unsweetened, so you can add sugar or drink it plain. The ultimate breakfast spot. This western style restaurant is a hidden gem, tucked away from the main and bustling streets of Daikanyama. 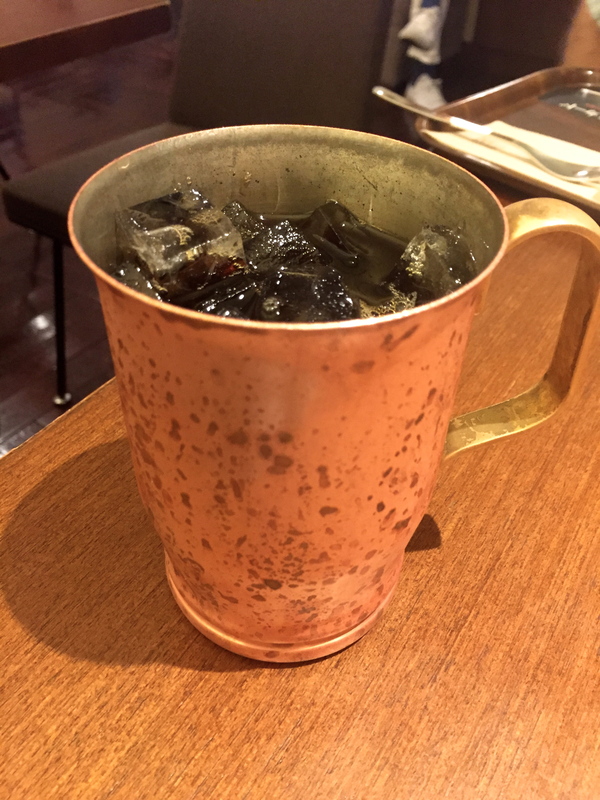 Located behind the large bookstore Tsutaya, the Ivy is open all day. My favourite time to go is at 7am, right at open. You can guarantee a nice quiet breakfast, and truth be told, around 7am is my favourite time; the day has just started, it’s still quiet out, and it’s either bright and sunny or dark and cozy. And the Ivy with it’s beautiful open plain set up and big glass windows is a perfect place to start your day. 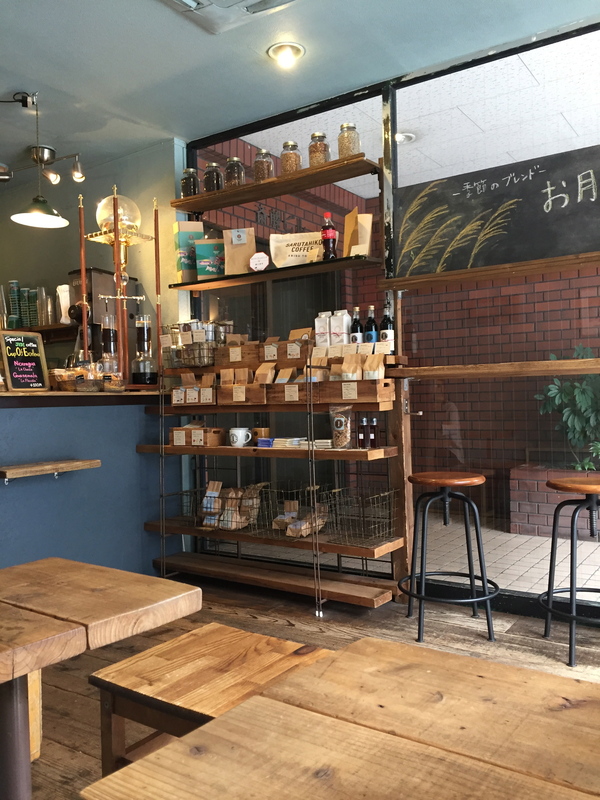 Casual and perfect for your morning cuppa, Precious Coffee is located just a block away from the Nakameguro train station. They also make a great little breakfast. I had a fluffy piece of toast with butter, and a awesome strong cup of iced coffee served in a cute little copper cup. There are an infinite number of amazing places to eat and drink in Tokyo, so this is just a tiny glimpse of what’s out there. This is also by no means the extent of places I’ve been to and fallen head over heels for in Tokyo, but I figured after the 98,815th restaurant/cafe most of you guys would have either stopped reading or died of old age in the process. So here we are with just a little list of wonderful places I would recommend to anyone and everyone headed to Tokyo.